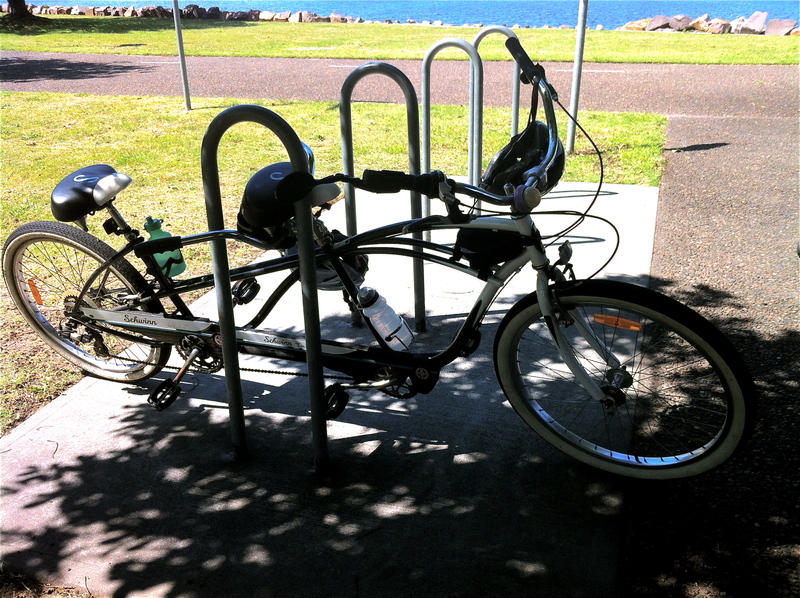 This entry was posted in Bike tracks and tagged newcastle, newcastle bike tracks, Schwinn, tandem, Throsby Creek, unusual bikes. Bookmark the permalink. Neat! – I think Hadleys sell these. I have never seen such an unusual tandem before Peter, I was really surprised to see it. Then I saw it again the next day, at Kotara. 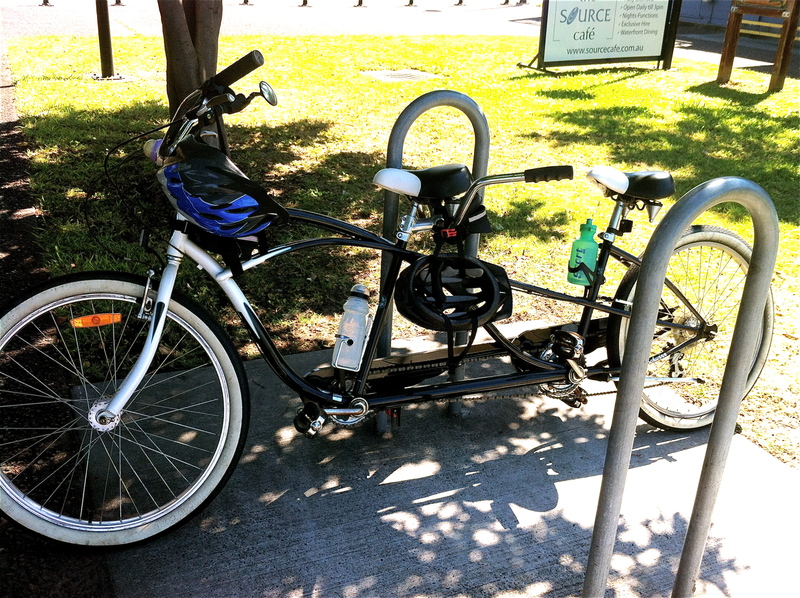 I’ve seen one in their Lambton shop with some other other Schwinn cruisers a few months back – looks like a laid back ride!